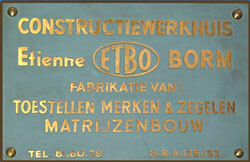 ETBO was originally founded in Belgium in 1953 by Etienne and Marie-Louise Borm. 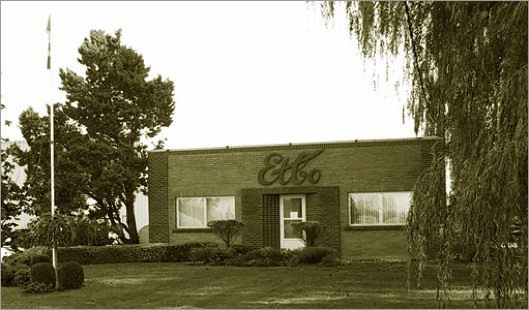 After immigrating to Canada in 1957, ETBO formally began its Canadian operations in 1958 as a tool & die company with a specialty in industrial engraving. Our first job in 1958 was the manufacturing of the forming tools for the original steel walled, portable, Coca-Cola cooler. Upon completion of this first job, ETBO quickly developed into a total tooling solution provider servicing the automotive and electronic markets. Today, ETBO employs over 125 employees in our newly expanded 85,000 square foot, climate controlled facility at our original location in Aylmer, Ontario, Canada. Located in the heart of Canada's automotive corridor, equidistant from both Buffalo and Detroit, ETBO is poised for continued growth in both the domestic and international markets. ETBO is grateful for the opportunities of the past and eagerly embraces each new opportunity as we continue to celebrate over 50 years of business in Canada.